Damaged flashing can stem from one or more problems, including (1) improper installation on a new roof, (2) drying and cracking on an old roof, (3) denting by improper nailing and (4) settling of the structure. Normally there will be a certain number of loose or missing granules, especially after application. These granules are called “riders” and are a normal result of the manufacturing process. 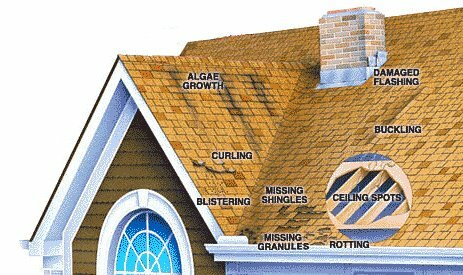 Granule loss does not affect the service life of the shingles unless granules can be seen missing on the surface of the shingles, thus exposing the asphalt or fiberglass mat. 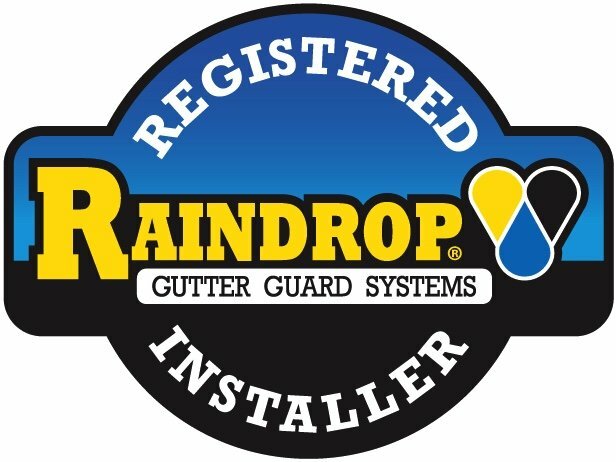 Spots are caused by leaks in the roof – areas to check include (1) the attic for leaks in the deck, (2) the chimney and vents for cracks in the flashing, (3) the rafters for leaks that “travel” away from the original source, (4) eaves for water backing up from ice dams and (5) the roof for damaged shingles.